British tourists wishing to visit the Valley of the Kings, home to Tutankhamun’s famous tomb, can once again do so safe in the knowledge that they will be covered by travel insurance after the British government relaxed long-standing advisories. The FCO is still warning against all but essential travel to a large part of the country including Cairo and the North Sinai but destinations such as Luxor, Aswan and the Abu Simbel temples in Nubia are back on the map. They continued: ‘As always, the safety of British nationals is a priority. We continue to follow developments carefully, and keep our travel advice under continuous review. My wife & I (both British Sub Aqua Club divers) have just returned home to Cyprus from Dahab where we enjoyed an eight day diving holiday with Desert Divers. Before travelling to Dahab we had been quite concerned regarding the civil unrest that had made up most of the media reporting relating to Egypt in the weeks prior to our departure. We need not have worried, as there was not a trace of tension in the air for the duration of our holiday. We felt safer walking through the streets of Dahab at night than we would have done on many streets in London. We were met at Sharm El Sheikh airport by the shuttle bus from Blue Beach Club Hotel and transported to that hotel very efficiently despite the many police roadside checks en route. Setting aside a mix-up with our room on arrival, we enjoyed the first of many restful nights at the hotel. Our room mix-up was sorted out the very next morning with efficiency and courtesy and after a welcome breakfast, we went to along Desert Divers to deliver our dive kit and sort out the registration formalities with Tanis Newman, the proprietor. The dive guides, Mahmoud (or Barracuda) and Khalid were helpful, efficient and accommodating. Of the dive sites 95% were everything we had been expecting and more, with the one exception being Bannerfish Bay. My wife, a keen underwater photographer, was in her element and I got to see some very impressive walls, the next best things to wrecks for me. As always, we found the Egyptian people to be most friendly and helpful, although the restaurant “hustlers” and shopkeepers along the seafront were somewhat too persistent at times, but it was always good-natured banter. We sympathize with them for their predicament given that the resort in general was obviously suffering from a severe shortage of tourists and wish for them a return to normality as soon as possible. Full marks to Egyptair, especially on our return trip to Cyprus. We left our hotel in Dahab at 10:00 hrs. and opened our own front door in Larnaka just eight hours later, with all our luggage accounted for and without having to worry about retrieving and re-checking it in at Cairo. Our thanks also go to the civil and tourist police for their re-assuring presence during our holiday, we did not feel that it was in any way intrusive at any time. Would we go back? You bet, in fact, the “return fixture” is already in the planning stages. Andy (& Debbie) McKnight.Cyprus Sub Aqua Club.BSAC Branch 2496. RAS MOHAMED National Park a True Garden of Eden !! protected land is home to one the most fabulous marine and terrestrial ecosystem. 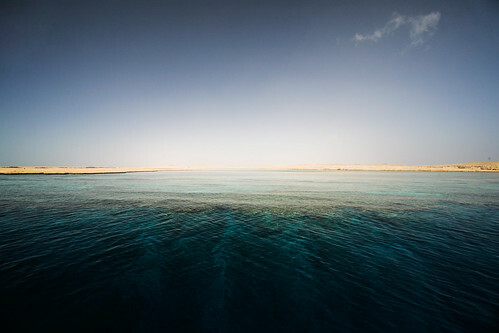 The surrounding mountains douse into the Red Sea offering divers woozy wrecks. is truly a Garden of Eden. lag… It meets everyone’s expectation: recreation. The unique geographical location of Egypt, at the northeast corner of the African continent, where it joins with Asia, coupled with the fact that it is bordered by the Mediterranean Sea to the north and the Red Sea to the east, endows it with a rich natural heritage.In a bid to take action to conserve and preserve its biodiversity, flora and fauna, Egypt passed law 102/1983, which empowered the Prime Minister of the country to designate certain areas to be declared as protectorates. To date, 28 protectorates have been declared, ranging from coastal, wetlands, geological and coastal protectorates. 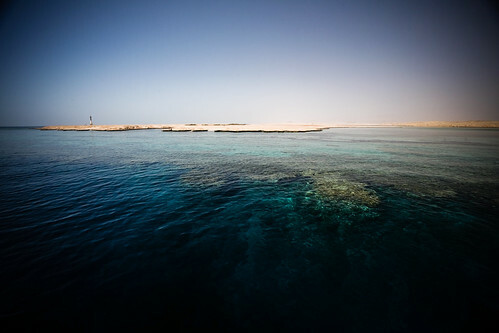 Ras Mohamed was the first declared protected area in Egypt in 1983. It lies at the southern-most tip of the Sinai Peninsula, overlooking a panoramic view of the Gulfs of Suez and Aqaba. A diversity of shoreline configurations and coral reef ecosystems that are internationally recog-nized as some of the world’s best make up a small part of the park’s beauty, which also features mountains, valleys, gravel plains and sand dunes. In addition, more than 1,500 marine creatures can be found, which is why the park is a famous snorkeling and diving site. 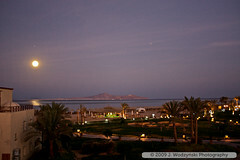 Ras Muhammad is located about 20 km from Sharm, and 446 km from Cairo. There is only one place in Ras Mohamed where camping is admitted but visitors must get a permit from the Park Management located at the entrance. Zaranik Protected Area is located at the eastern end of Lake Bardawil on the Mediterranean coast of Sinai and was declared a protected area in 1985.It is bordered on the north by the Mediterranean, on the south by Qantara – El Arish road, and on the east by a huge compound of tourist development areas where one can find comfortable accommodation.The area is characterized by amazing flora and fauna, which includes rare species (up to 270), as well as migra-tory birds. It is located around 30 kms east of the town of El Arish and 300 km from Cairo, and can be reached by road. There are several budget campsites and some double rooms. Binoculars and telescopes are available for rent at the site. Al Ahrash Reserve lies in the northeast corner of Egypt, bordering the huge expanded area of sand dunes that reach 60 meters in height above sea level.The reserve is famous for its trees and plants, which densely cover the reserve, making it a natural and serene haven. Numerous acacia trees, various camphor trees, bushes and pastoral plants can be found there.Located between El Arish and Rafah cities in Northern Sinai, it can be reached by road from these cities. This relatively small area of the Mediterranean coastal desert is characterized by the richest and most diverse flora in Egypt. Dunes of white sand by the sea are followed further inland by limestone ridges separated by depressions, some of which contain salt marshes. It is the only protected area that has this type of habitat.Many birds migrate through in spring and autumn, provid-ing excellent bird watching opportunities. El Omayed is easily accessible from Alexandria, as well as the governorate of Matrouh. The Elba Protected area is an extensive and complex area comprised of a number of mangroves of the Red Sea, islands, coral reefs, coastal sand dunes, salt marshes, desert plains and a cluster of coastal mountains (Gabel Elba, Gabel Ebruq and Al Daeeb). Gabel Elba is the only igneous mountain rising up to 1,437 meter. Its summit is a “mist oasis” where a considerable portion of the precipitation is contributed in the form of dew and clouds, creating a unique and rare ecosystem not found anywhere else in Egypt. Some 458 species are known in the reserve. Gabel Elba also supports a rich faunal diversity unparalleled in any other desert environment in Egypt. Forty species of birds and twenty-three species of mammals including the endangered sea cow Dugong – and thirty species of reptiles are found here.It is located in the south-eastern part of the eastern desert. The distance from Cairo is around 1300km and there are many resorts around the area where visitors can stay. The two islands of Salouga and Ghazal in the River Nile are located north of the High Dam. You can also visit the islands of Asbournati and Amoun and the plantation garden at Aswan, which are all located north of the reserve vicinity. The reserve area is characterized by predominantly expanding bushes and 94 various kinds of plants. The favorable natural conditions in the area provides wildlife spotting opportunities, with 60 kinds of rare birds, as well as migrating birds. The two islands are about 3 kms north of the Aswan Dam. You can reach the islands from Aswan or from Cairo (a 7-8 hour drive; there is a bus that leaves Cairo daily). 7 km north of the shoreline. The lake is an important archeological site because of the presence of the numerous marine life with a unique collection of fossil fauna and flora that goes back to some 40 million years.It is well known for wetland of international importance for water birds. The 376-feddan-islet serves as the most convenient spot for bird reproduction, specifically the flamingo. It is also the incubator and the happy nest that embraces infant birds on the lake islets during reproduction time. The reserve contains several monuments including As-Sagha (goldsmiths) palace that lies at the northern part, dating back to the Pharaonic Middle Kingdom. Three km away from As-Sagha palace, lies Abu Lifa Monastery that was built in the monastic era on an elevated spot in the bosom of a mountain to keep monks secure from Roman aggression. Greek monuments include relics of the old town of Skitnopius, once the departure point for the south desert-bound trade caravans.Several eco lodges, as well as two 5 star hotels are avail-able in Fayoum for accommodation. The Wadi El Rayan depression is located in the western desert of Egypt, about 65 km southwest of the town of El Fayoum and 80 km west of the Nile River. The vegetation is confined to inter-dune areas around springs and at the base of large dunes, and covers 13 species of plants. It is especially important, as it is home to the world’s only known population of the endangered Slender horned Gazella leptoceros. The Dorcas Gazelle is still found in the area in small numbers, as well as, the Fennec Vulpes zerda and Sand Fox. Wadi El Allaqi is a valley formed by the drying up of a large river, 275 km in length with an average width of 1 km. Home to more than 90 species of annual and perennial plants, it also includes fifteen species of mammals, 16 species of birds, a few venomous reptiles, and a large number of invertebrates. The valley is easily accessible from Aswan. The Assuiti Valley starts in the form of tributaries, mostimportant of them are the areas south of Qena Valley and up north. The Valley reserve differs from other Egyptian reserves as it is the sole station for breeding wild animals and wild plants endangered by extinction. The reserve is situated at Abu Rawash on Cairo-Alexandria desert road, about 8 km from Giza pyramids.El Hassana Dome, with its topographical merits and geological make-up, reflects a distinguished history. It is the sole location near Cairo that features remnants from the Higher Crestaeceous age, that dates back to about one million years. Its surroundings of rocks are from the Stone Age that were formed about 60 million years ago and the Rocky Age dating back to 40 million years ago. In 1989, the area outside of Maadi (30 kms from Cairo’s downtown), known as the Petrified Forest, was declared a protectorate by Prime Ministerial decree. Roughly 35 mil-lion years old, the Petrified Forest is an astounding piece of the earth’s physical history. The six-kilometer expanse is strewn with the remains of trees from an early forest, which were washed to their current location by flooding from the Red Sea hills. The period in which this flooding and move-ment occurred is known as the Oligocene, when the Earth’s overall temperature experienced a great deal of cooling. What makes this period particularly unique is that the global cooling that occurred in it created an atmosphere that brought about the appearance of many new species, such as horses and elephants. Sannur valley cave reserve is located in Beni-Suef, 10 km southeast of the city. Due to the ongoing alabaster drilling operations, 54 big cavities leading to the caves in the bottom of the earth were discovered. They contain geological formations known as ups and downs. The most important feature is the quality of its natural formations that are the most rare in the world. They also represent an importance to researchers for conducting detailed comparative studies with regard to variations of ancient environmental conditions. 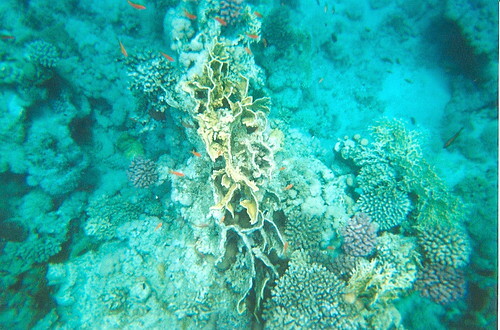 The largest coastal protected area on the Gulf of Aqaba, Nabq contains a variety of ecosystems in the Sinai Peninsula. With an area of over 600 kilometers square, Nabq contains 134 plant species, 6 of which are found only in Nabq, and the largest single stands of Arak bushes in the Middle East. Gazelles, Nubian Ibex, Hyrax and small mammal populations inhabit the adjacent desert. Herons, Spoonbills and Ospreys have sustainable breeding populations in and around the mangroves. Nabq (which is near Sharm El Sheikh resort), is an amazing site for diving and snorkeling as the coral reefs are extremely rich there. Reef profiles and therefore community structure are different from reefs in the Ras Mohammed National Park. on a narrow coastal plain, fronted by rich coral reefs makes it a worthwhile visit. Abu Gallum reserve houses 167 plant species, 44 of which are seen only in this area.You can trek to Abu Gallum from the Blue Hole camp in Dahab, which should take you about an hour. You can also enjoy a camel ride to Abu Gallum, which can be rented, along with a guide from the Blue Hole. If you opt to drive to Abu Gallum, the ride will take you two hours from Dahab. Situated northeast of the Rosetta branch of the River Nile, Lake Burullus stretches over 460 square kilometers, and is considered the second largest natural lake in Egypt.The lake has many environmental treasures, most impor-tant being the salt swamps and sand plains, while high sand dunes cover the lake’s coasts. The area features over 135 types of land and water plants. Moreover, the site is a great bird watching location as it is convenient for receiving migrating wild birds. The White Desert is considered the main attraction of Farafra, and is the second biggest depression by size located in Western Egypt, between Dakhla and Bahariya Oases. Located 45 km north of the town of Farafra, the White Desert has a white, cream color and has massive chalk rock formations that have been created as a result of occasional sandstorms in the area. You can also visit the hot springs at Bir Sitta and the El-Mufid Lake, also located near Farafra. Nabq Protectorate: It will certainly leave you breathless !! Sharm El Sheikh is the capital of the Red Sea Riviera, a quintessential resort town that caters to about everything you might think of. It will certainly leave you breathless. But what if you want to gasp some fresh air, away from the crowded beaches and the hip night life? reserve offers a unique opportunity to experience Mother Nature at its best. With varying terrain, Nabq interiors are dotted with high chain mountains while its coast plays host to a five kilometre stretch of mangrove; the most northerly in the Red Sea. Mangrove is not just an atypical tree that grows out of the sea! It plays a pivotal role for the surrounding ecology; acting as a natural nursery for small fish and crustaceans, providing nestling locations for birds and forming natural tsunami wave breakers. Put on your sneakers and go mangrove wading, it is spectacular. In one particular location, El Gharqanah The Drowned, you can have a peaceful stroll, or rather a wade, midst the mangrove trees, and all the way to a nearby shipwreck. No need to bring your diving gear, the walk is waist-deep and the shipwreck is visible from the shore. If you are a nature lover but not that into trees, Nabq is an ideal place for bird watching. Located right on several species migration route, some stop for a break, while others call the place home. Grab your binoculars and look out for herons, plovers, gulls, terns and the Red Sea endemic White-Eyed Gull with its vibrant yellow legs, blood red bill and a crescent-like white ring around the eyes. Tired of staring through your binoculars? Get in your diving suit and take a plunge; the reefs are mind-boggling to say the least, especially those at Ras Tantur and Nakhlet el-Tal. And if your still waiting for your PADI open water certificate, put on your snorkelling gear; there are a plethora of underwater life to behold without getting too deep. And after all said and done, if you still feel the urge for some good adrenaline pumping activity, no need to worry; certain areas are designated for quad biking and four-wheel off-roading. Enjoy the thrill as you bash through the roving dunes. Thinking out of the box, Nabq Natural Protectorate is not all about enjoying nature and the great outdoors, it can also make up for a good team building activity playground; especially if you are having your company’s year-end meeting held in one of Sharm El Sheikh copious hotels. A Summer Camp at Nabq sounds enticing as well. Without a doubt Nabq Natural Protectorate is great place to have fun; lest we forget that it is a fragile ecosystem that we have decided to safeguard and protect. Such a notion has to be carefully regarded when we pay the place a visit. Take as much as you want of photographs, but please leave only footprints behind. Haphazard littering and trashing can have a devastating impact on the ecology. Equally destroying can be your own four-wheel drive; driving outside the designated areas and tracks can squash plants and blossoms. Locals are part of the grand ecosystem as well, and in Nabq there are two main permanent Bedouin settlements; the villages of Khereiza and El Gharqanah. Please be respectful to their conservative culture and don’t flash your camera before asking for permission first. Reaching Nabq from Sharm El Sheikh is straightforward; just follow the airport road heading north. The tarmac ends right before the protectorate main entrance gate. From there it is dirt track all the way; hence, it is much advisable to have your 4X4 in mint condition before you venture. Inside the protectorate there is a rather small rest house that offers soft drinks and a limited variety of sandwiches. Grab a light lunch with you; after all it is a picnic into the wilderness at your footsteps.